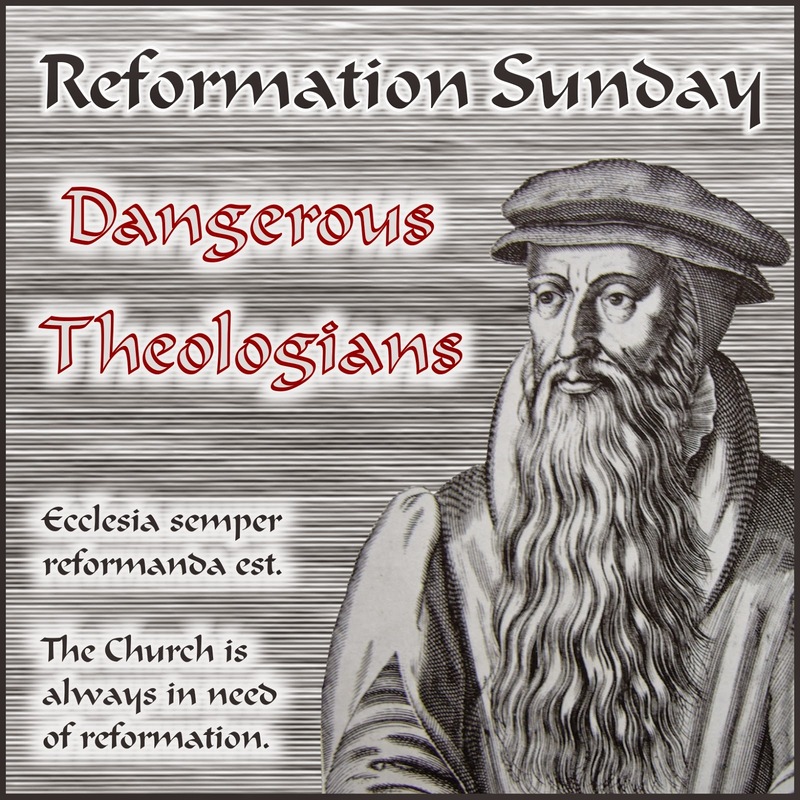 Let us celebrate the Reformation, learning from the Reformers by admitting their blunders. Martin Luther was a seriously delusional and superstitious person. He saw “der Teufel” (the Devil) behind many personal mishaps. He even saw (hallucinated?) “The Devil” and threw his own feces at him (Some even think that the famous ink-well from the Wartburg castle was originally something else!). Luther staunchly believed in the existence of witches, and encouraged witch hunts. And when Jews did not embrace his reformation, he became sickeningly antisemitic. John Calvin was not much better. Perhaps he was not this superstitious, but he was a rigid, legalistic and quite cruel man. He turned Geneva into a theocratic police state. When Sebastian Castillio, a brilliant scholar and originally Calvin’s friend dared to disagree, Calvin showed his vindictiveness which reached beyond the grave, Castillio’s grave was vandalized. But still worse, when Miguel Serveto, physician, dietitian and discoverer of pulmonary circulation, was caught in Geneva, Calvin let him be burned alive for heresy. But nowadays Calvin’s “heresy” is taught in all respectable seminaries - the Trinitarian doctrine (not the same as few biblical trinitarian formulas!!!) is not to be found in the Bible, it is a later development. The very fact that we can do it, the fact that we can acknowledge the Reformers’ blunders and learn from them, is the confirmation of one of the Reformation’s most radical achievements. The Reformation reserved holiness only for God and removed any divine aura from humans and their institutions. The reformers were people of integrity but they were not saints! They were gifted theologians but they were not free of superstitions! The reformers championed the freedom of conscience but themselves were not without prejudices! They were courageous fighters against spiritual oppression but themselves they were not immune from abusing their power! 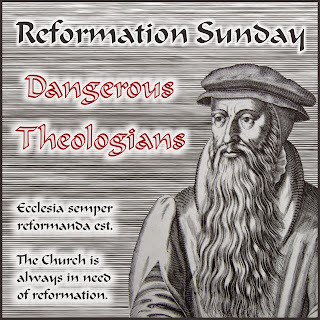 Reformation blunders must not be neglected, forgotten, excused or cheaply explained away! The best way to celebrate the Reformation, and to be honest and true to the Reformation legacy is by acknowledging these blunders and learning from them, so they are not repeated over and over again. Let us celebrate! I love Autumn. Soon trees will get dressed in flamboyant colours, parks and woods will be perfumed with the nutty fragrance of fallen leaves dispersed by crisp fresh breezes, night will bring distant honking of migrating geese and during the day they will write their magnificent “V-s” on the sky. Migrating birds bring powerful memories to me. I grew up in Europe so I did not know Canada Geese, but I remember Storks, Cranes, and Swallows who were about to leave for winter. And then there were individual birds as well as flocks and flocks of Chaffinches, Bramblings, Redwings, Waxwings, Crossbills and Fieldfares swarming as they passed by on their way from Scandinavia to their winter homes in warmer climates. Almost up until my childhood, people used to catch and trap these migrating birds for food and to keep as song birds. And then no one was catching migrating birds any longer! What happened? There are many theories as to why bird-trapping disappeared in central Europe during Nazi and Communist occupations. I have my own spiritual explanation. How could people, who were trapped themselves, possibly enslave even the birds, the symbols of freedom, the last free creatures as it seemed! Migrating birds were our heroes. 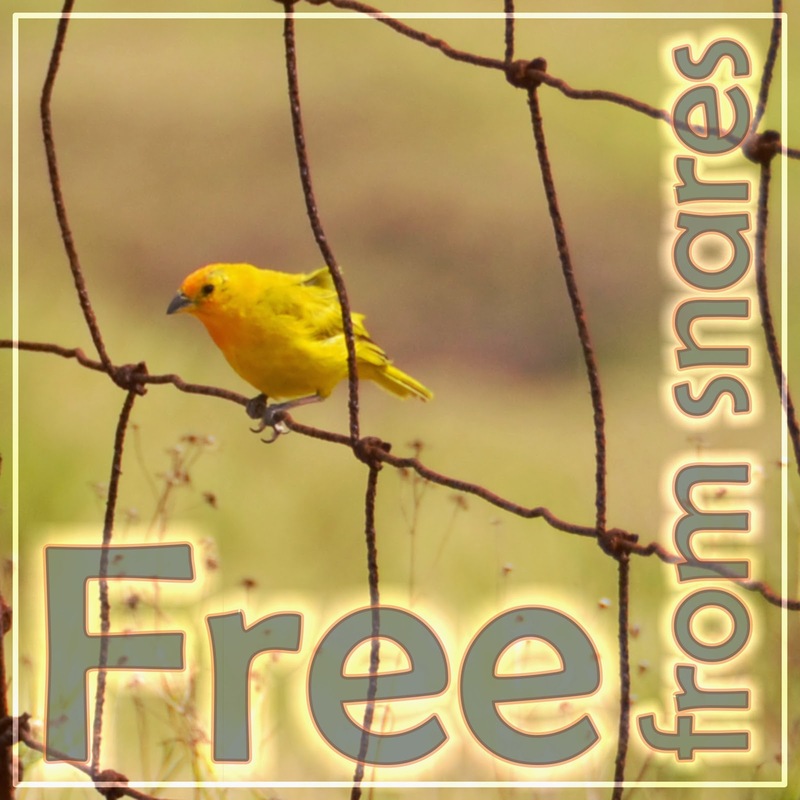 Oblivious of man-made barriers they flew above the border minefields, through the electric fencing and barb wires, thumped their beaks at armed guards in watchtowers. They were a powerful reminder of hope, a true symbol of a unified, undivided, border-less world, the world as God has made it. And we saw our hopes and dreams come true! 24 years ago the traps and the fences of the Iron Curtain shook, and crumbled, and came down. But my admiration for migratory birds did not stop. Perhaps surprisingly, perhaps not, the biblical Psalmist (Psalm 124) also shares this sentiment. Those, who even once in their lives have identified with little birds, would remember it for the rest of their lives and will always challenge any fence building and trap setting anywhere (in Lampedusa, in south Arizona, in north Australia, in Palestine). This Sunday we will seek why it is that God takes sides with birds, and against all fowlers (fence builders and trap setters). We will seek what it means for us and for the wider world and all creation. 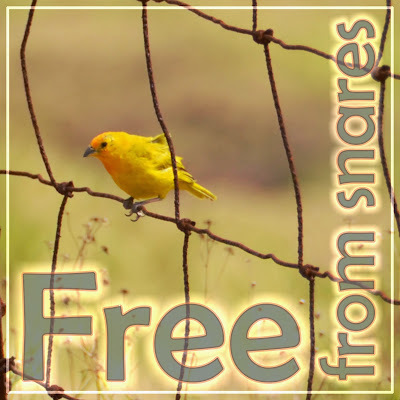 A Saffron finch in the cattle fence on Pu'u Wa'awa'a Cinder Cone in Hawaii. This Sunday we celebrate World Communion Sunday. Frankly, in Europe I never heard about World Communion Sunday! World Communion Sunday is virtually unknown outside of the United States. But I still love it and embrace it and support it without any reservations. It might not be a truly “WORLD” celebration, yet it has an important spiritual function. It reminds us (American Protestants) of the existence of the outside world. In the best possible setting, around Jesus’ table, we are annually reminded of the marvelous and rich diversity of the church and of the world. For this celebration we bring different breads representing diversity of grains, recipes and cultures, Pita, Naan, Injera, Tortilla, Corn bread... But frankly, as diverse as we might think our selection of breads is, Jesus was far more radical! Around the heavenly table he expected and prepared a place for people from East and West (please understand, that this expression means the complete diversity of people from around the world). 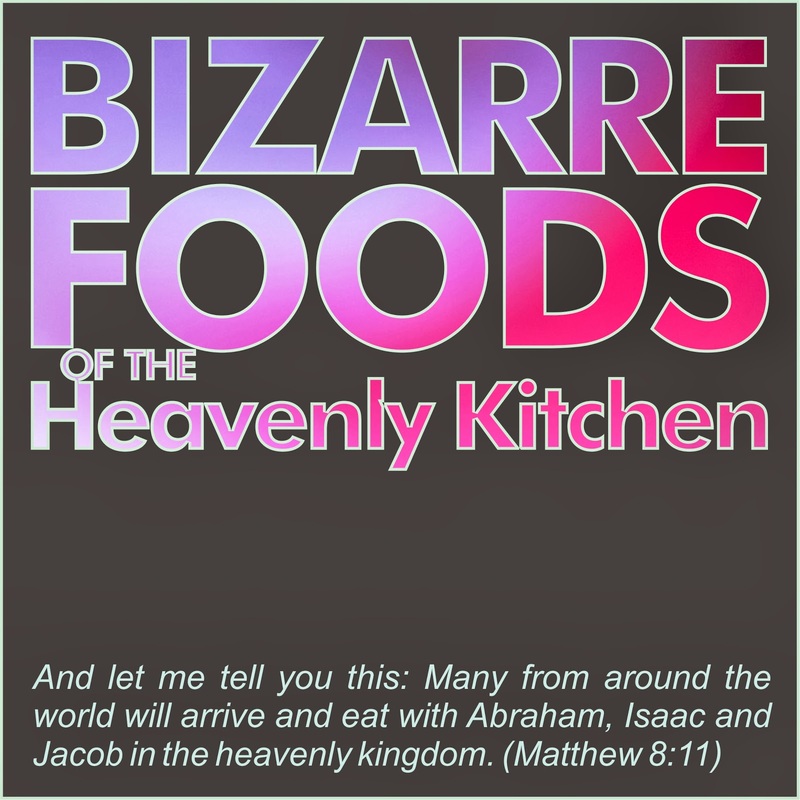 One does not need to be an anthropologist or watch Bizarre Foods with Andrew Zimmern to realize that our Christian concentration on the Mediterranean (and consequently North Atlantic) staple food and drink is de facto an excellent example of our (Christian) religious fundamentalism and cultural chauvinism. In medieval times this liturgical fundamentalism led to such strange ideas as attempts to produce domestic wine in the British Isles or Sweden, even north of 59th parallel! There are many other and diverse staple foods around the world beside bread (yams, rice, taro, plantains, chuño...) and other staple drinks besides grape juice (orange, coconut, passion fruit, dates, apples...)! Can we imagine and admit that Jesus might anticipate using different local staple foods in place of the Mediterranean bread and wine? Can we even imagine a heavenly table looking this bizarre, this diverse, this global? How would it change our understanding of Jesus’ table? What would it mean for our faith, for our liturgy, for the meaning of Holy Communion in our world? 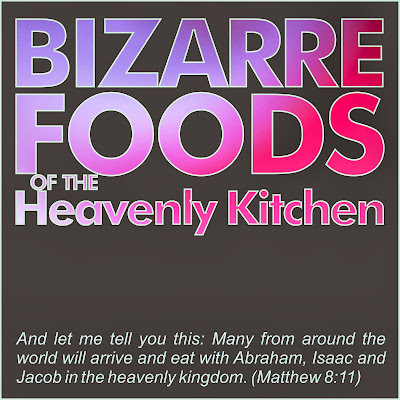 This Sunday we will ask and search and imagine together these bizarre foods on Jesus' table.